In 1998, two guys have started an innocent webcomic focused on video games and the games culture. Fast forward to 2016, and Penny Arcade is a massive cultural phenomenon of its own. 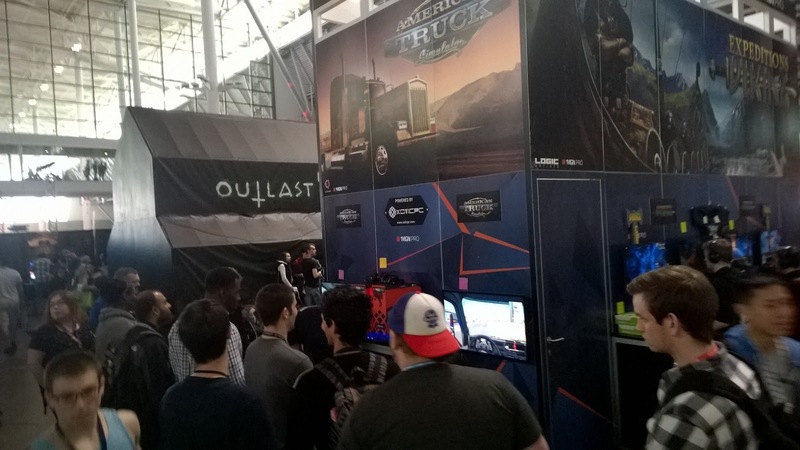 It is spawning four huge gaming expos every year, and here we are, showing American Truck Simulator at PAX East in Boston, MA. The scale of the expo is overwhelming, even though not quite as giant as Germany's GamesCom and fortunately not as loud. A tiny team from SCS is on the showfloor as well, manning two demo seats with American Truck Simulator, and definitely not ducking under the pressure as the crowds keep pushing by. It is our first time showing the game at a public event since it was released. It is great to see the line of people always waiting for their turn behind the wheel! We have met several dedicated fans of our truck sims with hundreds or even thousands of hours spent in the world of Euro Truck or American Truck, and enjoyed the conversation with them (yeah, we know, we should hurry up with Arizona!). It is also quite an inspiration to see first-time players experimenting with the game, trying foolish things, or some taking it very seriously and driving super carefully. We would like to thank our publishing partners at IMGN.PRO for inviting us to participate at their expo booth. They have managed to strike some great partnerships for the ATS demo stations. 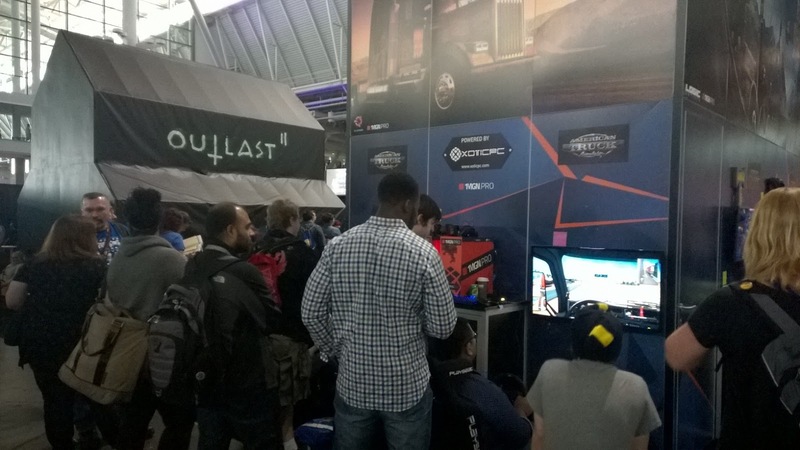 The game is running very smooth at 400% scaling on the XoticPC computers powered by NVidia GTX 980 3D cards, and visitors seem to be having great fun driving the big rigs while sitting in Playseat gaming seats equipped with Logitech G29 steering wheels. Cannot get much better really. Thanks guys!